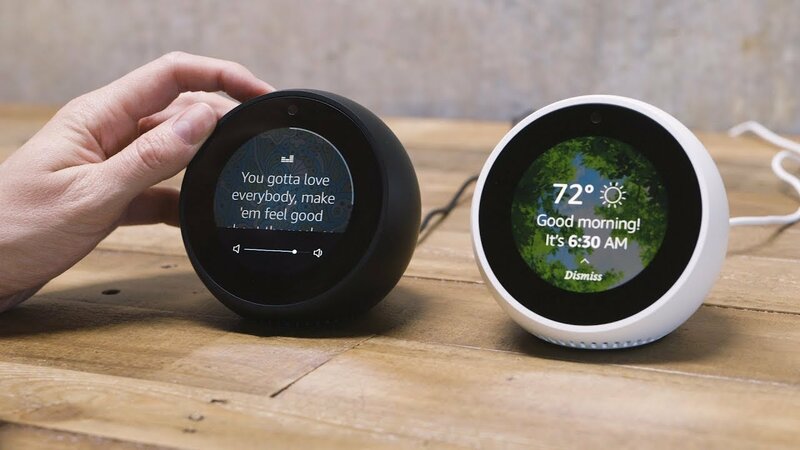 The Echo Spot is small enough to put in a bedroom, bathroom or kitchen. Thanks to its four-way directional microphones, it’ll pick up voice commands easily. But with the touchscreen, users can also scroll through items on screen too.